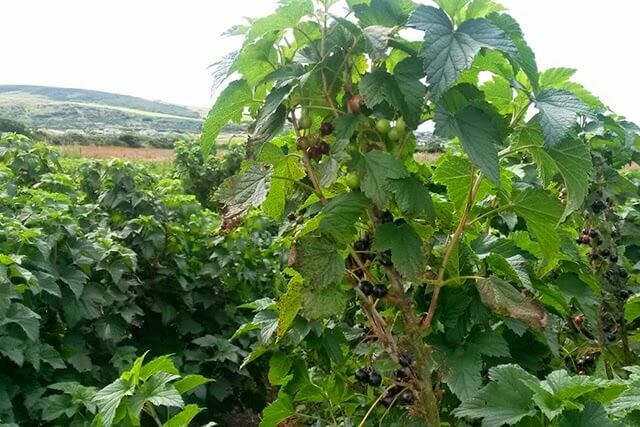 While at the allotment today I couldn’t help noticing that my gardening neighbour had several bushes of blackcurrants just ready for picking. Sadly I don’t have any of my own but feeling inspired, I trekked down to the PYO (pick your own) farm to buy some. It might be cheating but seeing those berries reminded me that I wanted to make a boozy blackcurrant infusion that I’d tried over at my friend’s place a couple of years ago. When complete, the almost syrupy liqueur is fruity, sweet, and deceptively potent. Perfect for getting the party started! The method is incredibly simple. 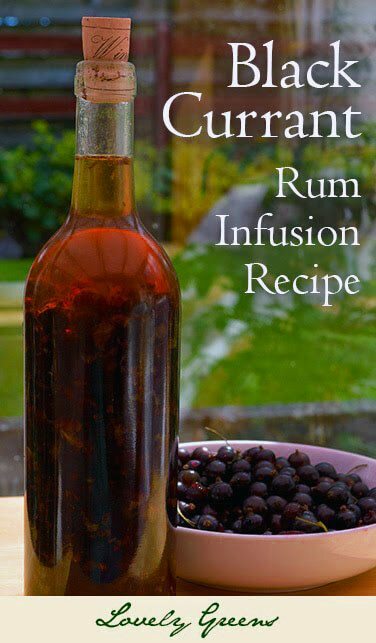 Start with half a bottle of rum then fill the rest of the bottle with blackcurrants. You want the berries to release as much of their flavour as possible so tear each one open as you pop it inside. Once full, seal the top of the bottle and allow the berries to infuse in the rum for two months in a dark and cool place. Though my friend didn’t mention it in her directions, I think I’ll also give the bottle a shake every few days (or whenever I remember). After the two months have passed, strain the liquid from the berries and add sugar and/or agave syrup to taste. The flavour should be rich, sweet, and delicious when sipped neat. It’s going to be tough keeping my fingers off this bottle or even waiting the full two months. If all goes to plan, it will be ready in time for my birthday in September. I have a mind to mix it into Champagne for a blackcurrant liqueur version of a Kir Royale. Yummy…I can’t wait! If you enjoyed this recipe for Blackcurrant Liqueur you might also want to check out my recipe for Blackcurrant wine. It’s a bit more involved but will give you six bottles of delicious, fruity, homemade wine! « Juicing for Dogs and You too! I will try this. Currants are very good this year. They are excellent this year! In fact, I'm about to make another batch of redcurrant jelly. This is a much more sensible recipe than the one I've just tried. Most of it ended up down my kitchen cabinets (there's a photo if you can bear to see it…) and quite a lot of things are pink now. It'll be a while before I do anything with blackcurrants again. Also where did you find wine jugs w cork glass? You could reuse a clear wine bottle but I'd recommend that you stick with a screw cap version to keep costs down. I make my own wine so already have the equipment to cork bottles. I have some muleberries I picked and froze. I can thaw out some out and use rum or vodka? I just have to cut off the stems. I'm not familiar with Muleberries Sanni, but I expect that they would work just fine with this recipe.